In 1969, when a 69.42-carat pear-shape diamond was put up for auction in New York there was a lot of interest in the flawless gem. A couple of bold faced names stood out among the dealers and collectors. Aristotle Onassis had dropped by the Parke-Bernet Galleries in New York to inspect the stone, leading the press to speculate that he intended to buy it for his wife, Jacqueline Kennedy Onassis. The Greek tycoon had apparently promised his bride a diamond of at least 40-carats for her 40th birthday. Richard Burton, who had been on a jewelry buying spree, was also interested. Within the year he had purchased the luscious 33.19-carat Krupp diamond ring and the legendary Peregrina Pearl pendant from the Parke-Bernet Galleries for Elizabeth Taylor. When the actor asked the auctioneer, Ward Landrigan, to send the 69.42-carat diamond to the couple’s vacation home in Gstaad for his inspection, it was promptly shipped. The day of the auction, October 23, 1969, Burton had his lawyer send a representative to bid with a ceiling price of $1,000,000. Surely, he must have felt the sum would have been sufficient. The record price for a diamond jewel at the time was comparatively meager—$385,000 for a diamond necklace sold from the estate of Mae Hayward Rovensky in 1957. A parenthetically interesting fact relating to Cartier, Mae Rovensky was Morton Plant’s widow. Morton Plant was the man who bartered his Mansion for a double strand of natural pearls from Cartier for his wife Mae. But back to the sales room and the diamond, there was some serious competition for the 1-½ inch long and 1-inch wide gem that was described by one pithy journalist as the size of a peach pit. The auction was packed to the rafters. Nine people participated in the bidding, shattering Mrs. Rovensky record diamond necklace price in a matter of minutes. Things slowed at around $500,000. Finally, at the $850,000 mark, it was down to two bidders. Al Yugler who was representing Richard Burton and Robert Kenmore representing Cartier. The very next day, it was reported that Richard Burton had his lawyer contact Cartier and buy the gem. 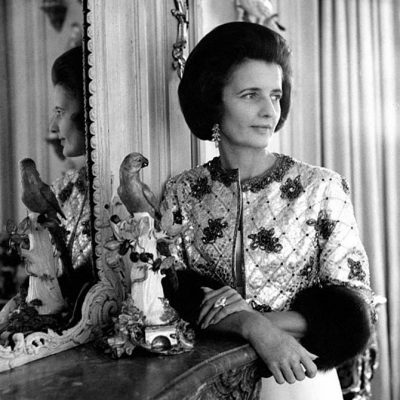 The New York Daily News headline read “Liz Gets That Peachy Pear.” Burton told The New York Times, “It’s just a present for Liz.” In the same story it was announced the extraordinary gem would be put immediately on display at the Cartier Fifth Avenue Mansion for a week, before it was shipped to Elizabeth Taylor and Richard Burton. Over 6,000 people a day lined up on Fifth Avenue in front of the Mansion to see the celebrated stone. Men, women and children waited patiently to get a glimpse. 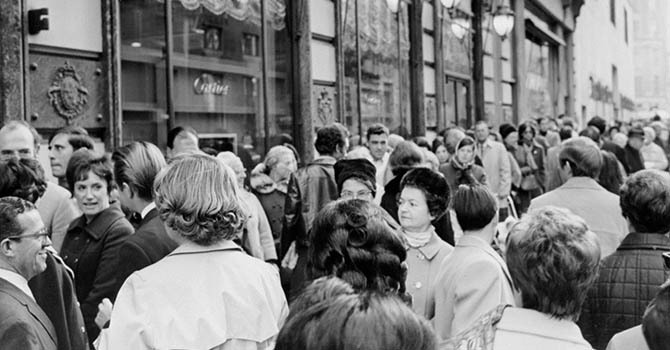 Salesmen fielded questions about how Elizabeth Taylor was going to wear the diamond. She had plans to keep it in the ring setting as well as wear it in a new Cartier necklace of pear-shape gems. They would not reveal the price Burton paid. 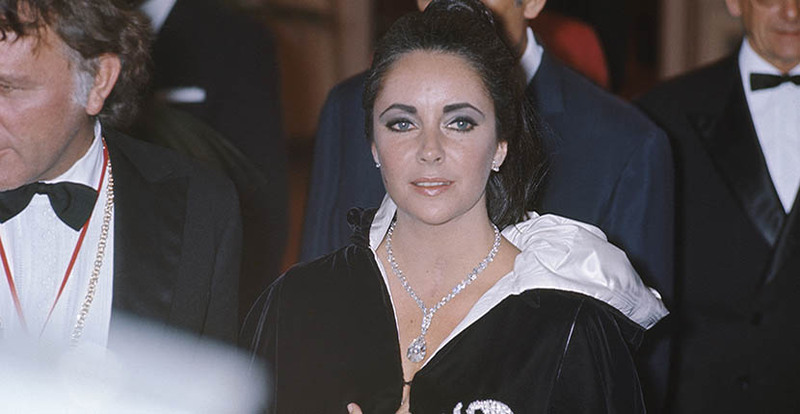 In 1970 Elizabeth Taylor wore her 69.42-carat pear diamond suspended from a Cartier necklace at the Oscars where she presented the award for Best Picture. When the jewel was sent to Elizabeth Taylor and Richard Burton, an elaborate security plot was devised including three men with identical suitcases being dispatched from Cartier as decoys. One delivered it to the couple on their yacht Kalizma in Monaco. They were anchored in the tiny principality to attend Princess Grace’s Scorpion themed 40th birthday party at the Hotel Hermitage in Monte Carlo. Taylor caused a sensation when pictures of her were published wearing the diamond on the Cartier necklace with a black cape decorated with white scorpions. The public got a long look at the amazing diamond and Cartier necklace on television when the actress presented the Best Picture award at the 1970 Oscars. The couple was good humored about the historic gem and massive amount of attention it received, particularly in the year following the sale. Once when he was asked about the stone, Burton quipped, “The diamond has so many carats it’s almost a turnip.” In the 1970 season premiere of Lucille Ball’s sitcom, Here’s Lucy, the couple made the gem, mounted in the ring, a prop for slapstick comedy. The six-minute sketch is a little slow to get underway but by the end becomes laugh out loud funny. 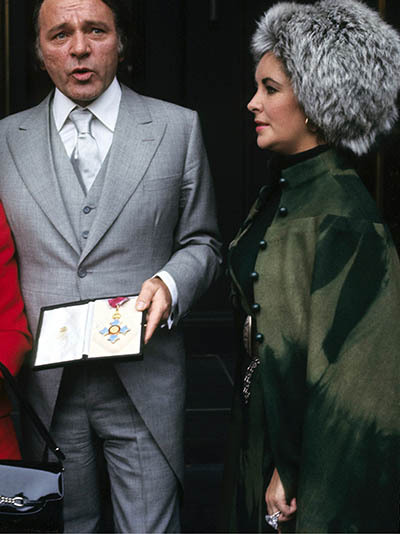 On a more serious occasion, when Richard Burton received an OBE (Order of the British Empire) on his 45th birthday in 1970, Elizabeth Taylor sported the gem in a ring. Shortly after the couple divorced in 1976, Elizabeth Taylor sold the diamond and donated a portion of the proceeds to fund the building of a hospital in Botswana. (Currently it is believed to be in a private collection.) 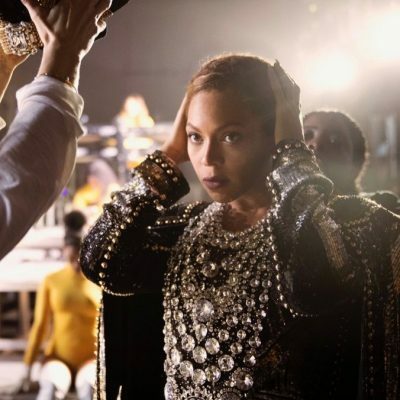 While the actress expressed regrets at selling the diamond over the years, she most likely chose to do so because the insurance policy was prohibitive about how often she could wear it and how she needed to be attended by armed guards when she did so. While the gem is known today as the Taylor-Burton Diamond, in the press coverage for all the years Elizabeth Taylor owned it, it’s almost always referred to as the Cartier Diamond. Indeed, in the 2011 New York Times obituary for Elizabeth Taylor, it is referred to as the Cartier Diamond. 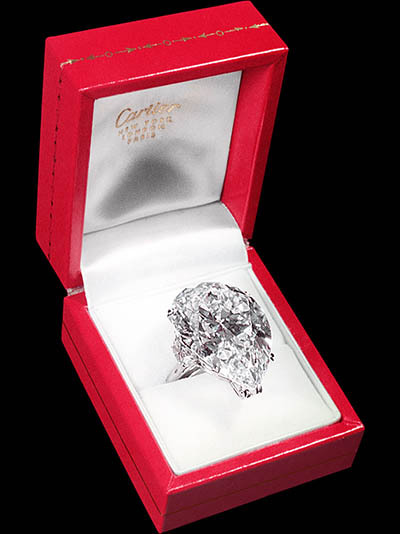 All evidence suggesting, the story surrounding the historic purchase of the amazing gem and the presentation at the Cartier Fifth Avenue Mansion became as much a part of the legend as the stars who made it an iconic emblem of their love story.